Like most parts of the Greater Toronto Area, Milton mortgage rates are quite competitive due to higher-than-average real estate values and a growing population. The following are the lowest rates from providers with offices in or near Milton. For options in other parts of the province check the best rates in Ontario. 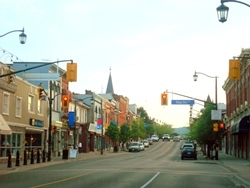 City in Brief: Located just west of Toronto, and facing immense growing pressure as a result, Milton has become Canada’s fastest growing city. From 2006 to 2011 the population grew by nearly 56%. The city’s population in 2015 is estimated at 102,000 and is forecast to surge to 228,000 by 2031. Milton boasts numerous conservation parks, recreational areas and campgrounds due to its proximity to the Niagara Escarpment, and it is also a UNESCO world biosphere reserve.